A self-driving vehicle technology company, Optimus Ride, plans to deploy its self-driving systems at the Brooklyn Navy Yard and Paradise Valley Estates. The Brooklyn Navy Yard is a 300-acre modern industrial park with over 400 manufacturing businesses and 9,000 people working on site, and Paradise Valley Estates is a private 80-acre, nonprofit Life Plan Community located in Fairfield, California. The company aims to provide residents and workers at both sites with access to efficient and convenient self-driving mobility within defined, geofenced areas. This news comes just weeks after Optimus Ride announced a partnership with Brookfield Properties to deploy self-driving vehicles at Brookfield’s Halley Rise development, located just outside of Washington, D.C. With these new programs, Optimus Ride will be operating deployments in four U.S. states. 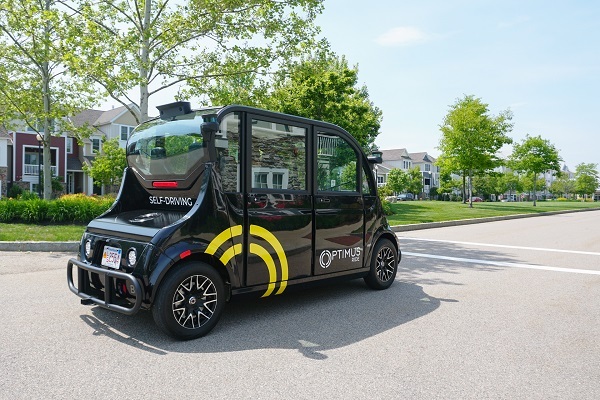 Slated to launch in the second quarter of 2019, Optimus Ride’s deployment at the Brooklyn Navy Yard will be the first commercial self-driving vehicle program in the state of New York. Optimus Ride will deploy self-driving vehicles on the Brooklyn Navy Yard’s private roads, providing a loop shuttle service to connect NYC Ferry passengers to Flushing Avenue outside the Yard’s perimeter. Optimus Ride develops self-driving vehicle algorithms, software, hardware, and system integration for mobility on-demand solutions. Currently, the company is deploying at sites across the country, including in Massachusetts, Virginia, California and New York. Optimus Ride’s vehicles are programmed to adhere to Vision Zero speeds.